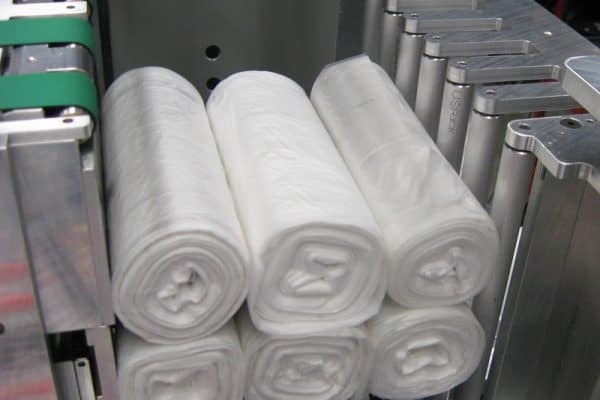 A plastics manufacturer wanted to eliminate bulk handling and packaging of rolled garbage bags at the end of four different lines. 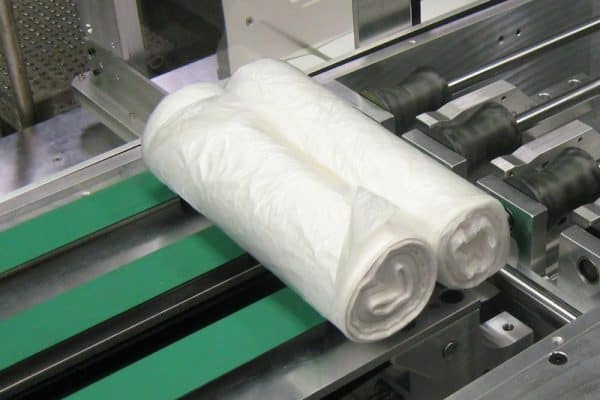 After a winding process, the rolled bags of various sizes would continue on conveyors and drop into a box. Then, workers would manually sort the rolls, pack them into cartons, and seal the boxes before moving them on to a marking station. 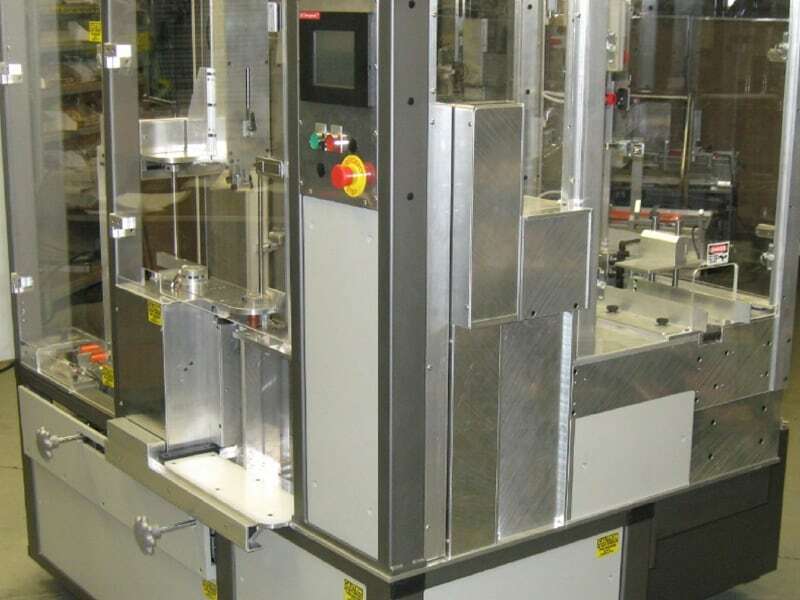 The client needed an automated system for greater efficiency and lower labor costs. ETI designed a custom unit complete with infeed, carton hopper, erecting station, carriage transfer plate and carton discharge pusher. 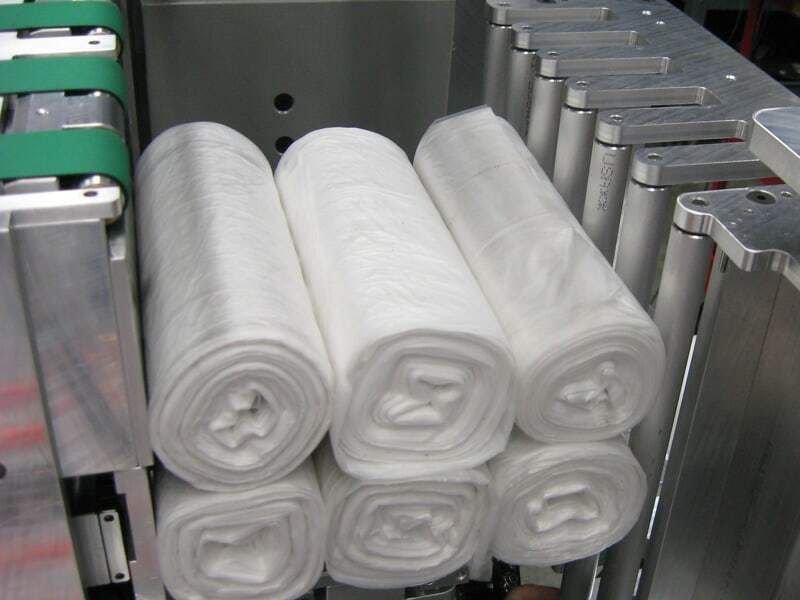 Now, after winding, the rolled bags convey to the infeed of the packing machine, where they are timed according to size and quantity, to drop and load into opened cartons. 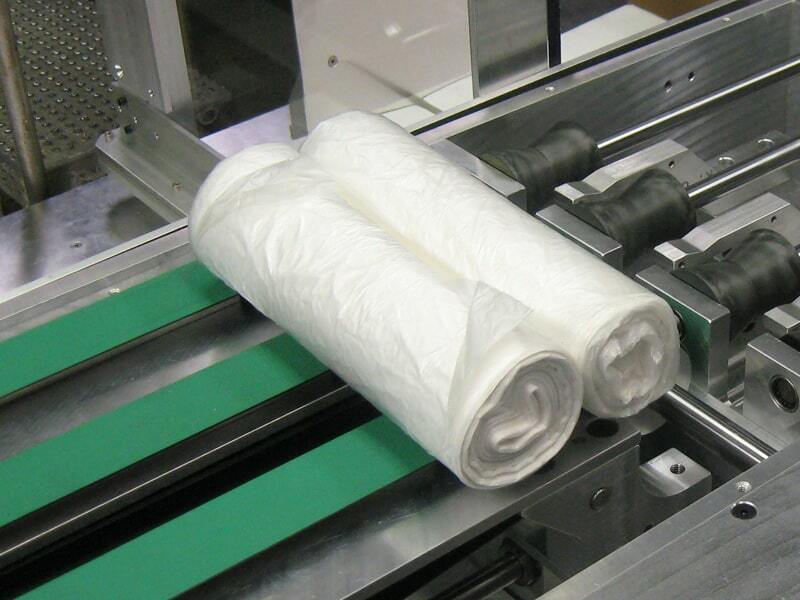 The carton then erects, seals at top and bottom and is discharged to the marking area. The new system has reduced manual labor by 75 percent. 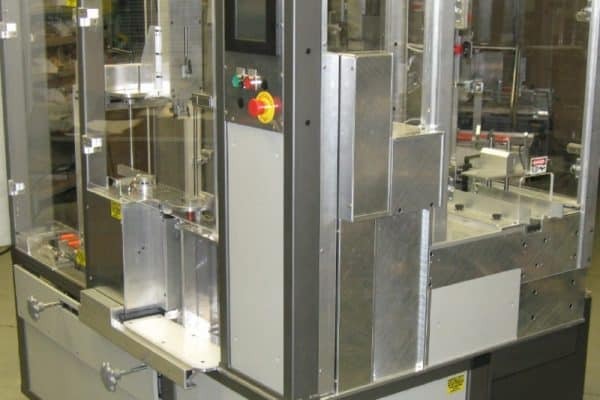 Designed a high-speed flexible and adjustable case packing unit to accommodate rolls of varying lengths and diameters. The system has since been upgraded to pack small cartons of garbage bags instead of individual rolls.